The United Nations in Colombia on Wednesday received a report from hundreds of organizations that claim the country’s government has refused to cooperate to reduce “serious and systematic” human rights violations. More than 500 social organizations contributed to the UN’s Universal Periodic Review (EPU) in which 192 member countries are judged on the state of their human rights violations. 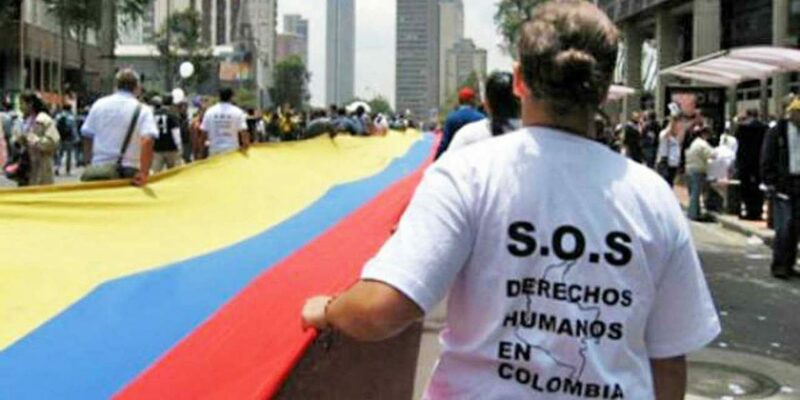 The Colombian organizations claimed that the Colombian state has failed to adhere to recommendations made in the last UN human rights report in 2013. According to the organizations, the government failed to implementation a peace agreement made with demobilized guerrilla group FARC and victim organizations. Additionally, the state has inadequately responded to ongoing violence by paramilitary and guerrilla groups, the mass killing of social leaders, the forced displacement of people, children’s rights, the violent discrimination of ethnic minorities and recommendations to reduce police brutality in cases of public protest. The country’s judicial system has failed to prosecute human rights crimes while authorities continue to violate citizens’ human rights, according to the report. Impunity for human rights violations is around 90%, according to the Colombian Commission of Jurists. “Impunity continues to be a structural problem in Colombia, especially in relation to human rights violations, which shows that the recommendations of the 2013 Universal Periodic Review have not been implemented,” the report stated. The organizations also accused the security forces of continuing its practice of executing civilians and falsely present these victims as combat kills. The displacement of marginalized communities continues to plague the country as “it is estimated that between 2013 and 2016, some 700,000 people were displaced,” according to the report. In the case of violence against women, LGBT people, and African Colombian and indigenous populations, laws have been put in place without these having a real impact on effectively protecting the vulnerable groups. In 2016 alone 128 women were victims of femicide and 20,000 were tested for sexual crimes, according to the report. Furthermore, the civil society groups criticized the country’s dysfunctional protection agency for failing to protect the lives of threatened social leaders and their communities. The most vulnerable population, children, continue to suffer and die from incomprehensible malnutrition, often because of government corruption. “In the last decade, 2,000 children under the age of five have died from this cause. In the Guajira alone, between January and November 2016, 66 children of the Wayúu community died,” according to the report. The UN will present its findings and recommendations next month in Switzerland.